Overview: Put your slot machine strategy to the test. 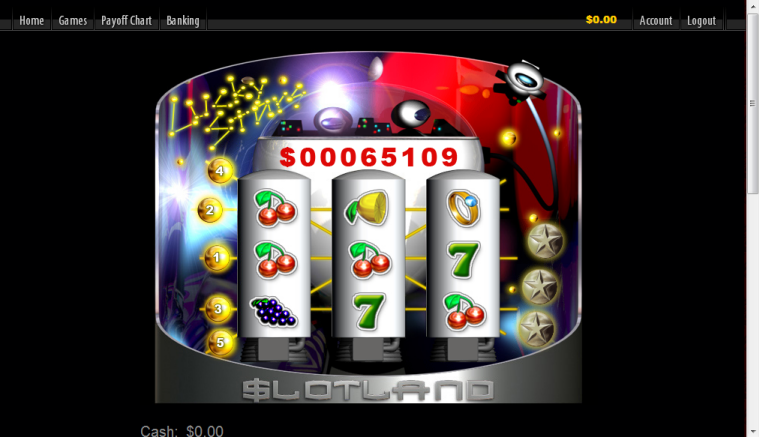 Lucky Stars is a five-payline slot machine game giving you 5 chances of winning. Each payline which has a bet placed on it can win. 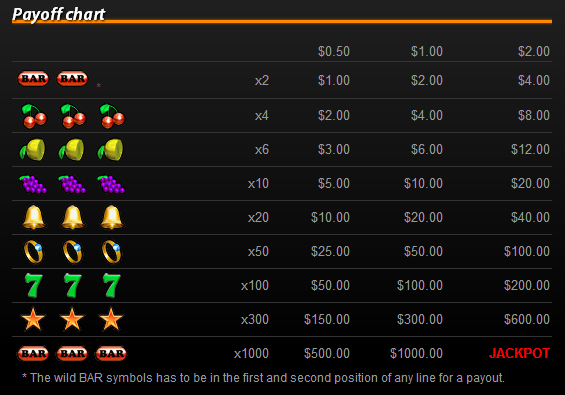 Winnings are based on symbols on each payline and the amount bet on that line. Furthermore, a feature Hold may appear randomly during your play and there is a special bonus round multiplying all wins by 10! Similar Slots: If you like Lucky Stars, you might like these other slot machines from Slotland: Alice In Wonderland, Amore, Carnival, Chinatown, Dollar Storm, Enchanted Gems, Fluffy Paws, Fruit Mania, Fruitful 7s, Full Bloom, Grand Liberty, Gypsy Charm, Hold The Riches, Ice Crystals, Leprechaun Luck, Lost World, Neon Reels, Ninja Power, Olympus, Open Season, Pearls of Atlantis, Phantom Of The Opera, Pyramid Plunder, Striking 7s, The Reel De Luxe, Tropical Treat, Vegas Vibes, Wild Alaska, Zodiac.